Minila Shah is the Founder and Artistic Director of Ajna Dance Company. Minila is an established choreographer, dancer and dance educator with over 15 years of experience across 3 continents. She has taught masterclasses, performed and worked as a choreographer in the United Kingdom, India, Canada, France and the US. Minila’s expertise spans Bharatanatyam, Kathak, Garba, Bhangra and Bollywood. Minila is a trained classical dancer (Bharatanatyam and Kathak) which heavily influence and inform her unique style. Minila draws on her vast classical training to seamlessly blend her classical movement with folk and Bollywood resulting in her unique and distinct style of choreography. Minila’s work has appeared on NBC, ABC’s Good Morning America, The Food Network, Good Day New York, Refinery29, and Dancing on Ice (ITV) in the UK. She has choreographed for film, TV, music videos and theatre theatre in London and New York. Minila is a disciple of renowned Bharatantyam dancer, Guru Menaka Thakkar and Kathak dancer, Guru Prashant Shah. Her Bharatanatyam and Kathak training have rooted her in rhythm, grace, expressiveness and connectivity to Indian culture. Minila has travelled to India twice to further her training in classical dance and to study Yoga. As Artist Director of Ajna Dance Company, Minila has created a premiere Indian dance company in New York City offering classes for adults and children, professional performance and educational programming for schools from Pre-K to University. Minila has led workshops and lecture-demonstrations at countless educational institutions including Hunter College and Barnard College/Columbia University. 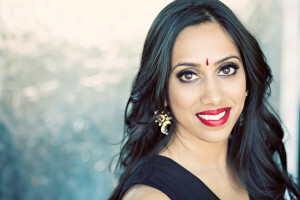 What sets Minila apart is her deep knowledge of a number of forms of Indian dance, her teaching style and ability to connect with students of all ages, backgrounds and levels.